As the city of La Crosse, Wisconsin moves closer to legalizing backyard poultry, members of the LaX City Chickens group are taking action to raise awareness by sponsoring a public screening of Mad City Chickens. 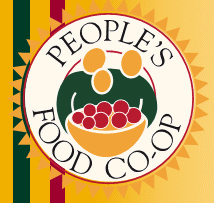 This Saturday, February 5th at 3:00pm, MCC will play at the People's Food Co-op, 315 5th Avenue South in La Crosse. The film screened successfully at the co-op back in December of 2009.